Each year, the Master of Science in Family Therapy (MSFT) program plays host to a series of lectures focusing on a particular topic or variety of topics to provide a brief and yet informative presentation relevant to the mental-health field. In addition to gaining useful information on clinical application, clinicians can earn continuing-education credit by attending (1 forum = 1 hour of CEU). Mental-health professionals and students are invited to bring a sack lunch and join us from noon to 1 p.m. on the second Wednesday of each month in the Marriage and Family Therapy facility. RSVP for a Noontime Forum. For more information, please contact us at MSFTNoontimeForum@friends.edu. 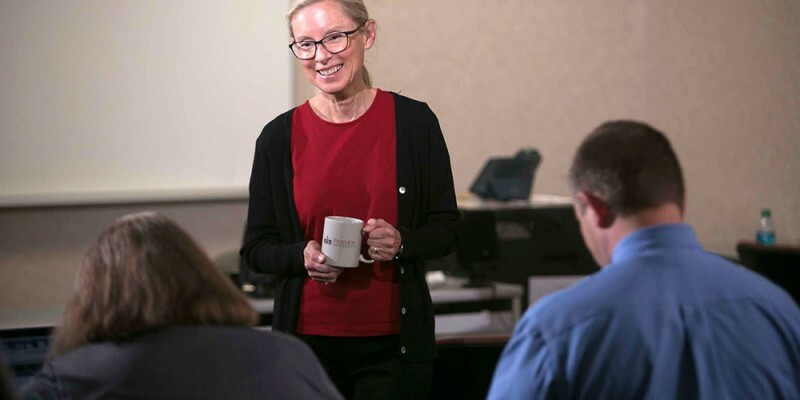 Friends University offers graduate level workshops across a number of content areas and grade levels, supporting the needs of educators seeking relicensure opportunities, salary advancement and professional development. Workshops credits may be applied toward required electives as part of a Master of Education degree, with tracks in Teaching and Learning and Special Education High Incidence (P-12) programs. Moreover, earn those electives at workshop prices! Learn more about these workshops. View the Summer 2018 Teacher Education Workshops brochure. View the Spring 2018 Teacher Education Workshops brochure.